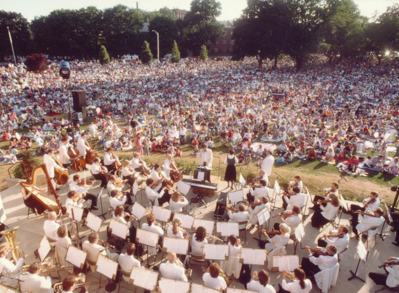 With roots dating to 1947, the Massachusetts Symphony Orchestra for over seven decades has presented high-quality symphonic performances for more than two million concert-goers. 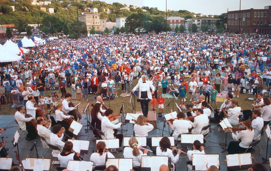 The Orchestra has accompanied such legendary artists as Luciano Pavarotti and Andrea Bocelli at Worcester’s DCU Center and has also performed with child singing sensation Jackie Evancho and with Mannheim Steamroller. Presenting approximately a dozen performances throughout the year, the orchestra also owns and operates Worcester’s Tuckerman Hall. Conductors of the orchestra include Myron Romanul, John Delorey, Jorge Soto and Kallin Johnson. 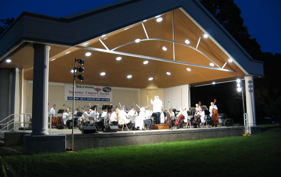 In 1951, orchestra founder and conductor Harry Levenson began what is currently known as the “Summer Family Concert Series” in Worcester’s Institute Park – a series presented by the orchestra that continues today in Worcester’s Cristoforo Colombo Park, Institute Park, and in surrounding towns. Attracting tens of thousands of people each year, these concerts have become the most popular outdoor summer music series in central Massachusetts. Other presentations during the year by this organization include its immensely popular Duo Piano Concert Gala. Sold-out each year since its inception in 2007, this annual concert features more than a half dozen of this area’s finest pianists playing music of the greatest composers arranged for two, four or six pianists on the Orchestra’s two Steinway grand pianos. 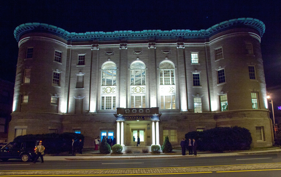 From 2008 to 2016 the Symphony also played for The Hanover Theatre’s annual presentation in Worcester of four performances of Tchaikovsky’s Nutcracker Ballet in collaboration with Ballet Arts Worcester. These presentations have enthralled more than 50,000 patrons from across the region. And since 1980, the Massachusetts Symphony’s annual Holiday Pops Concert at Worcester’s Mechanics Hall has remained this area’s most loved and admired holiday concert. Sold out each year for some three and half decades, this extravaganza features the Symphony and a 150+ member combined chorus of students from Anna Maria College, Assumption College, Clark University, Worcester Polytechnic Institute, and Worcester State University. Copyright (c) 2014, 2017, Massachusetts Symphony Orchestra, Inc. All Rights Reserved.